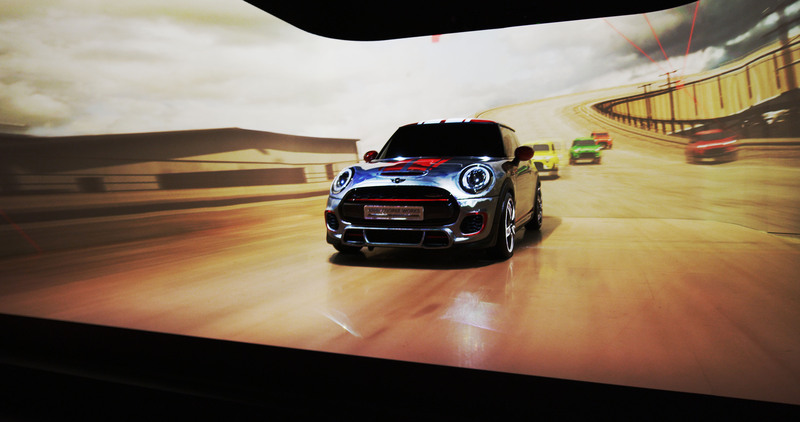 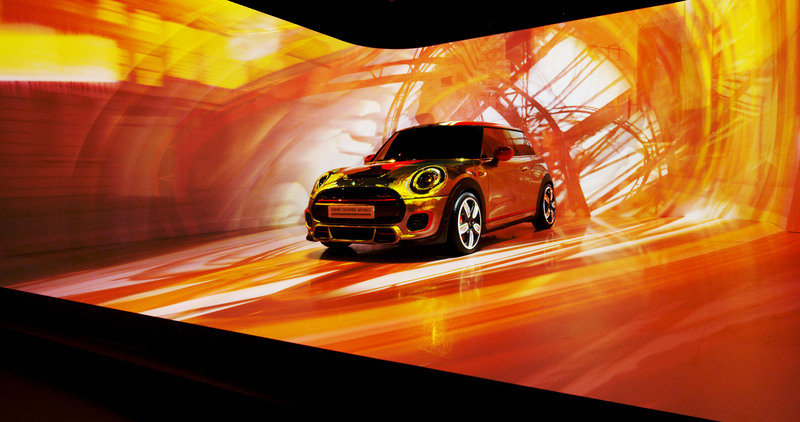 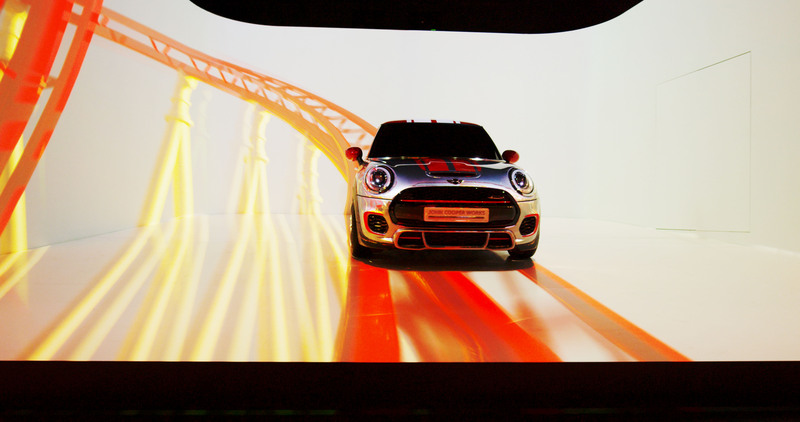 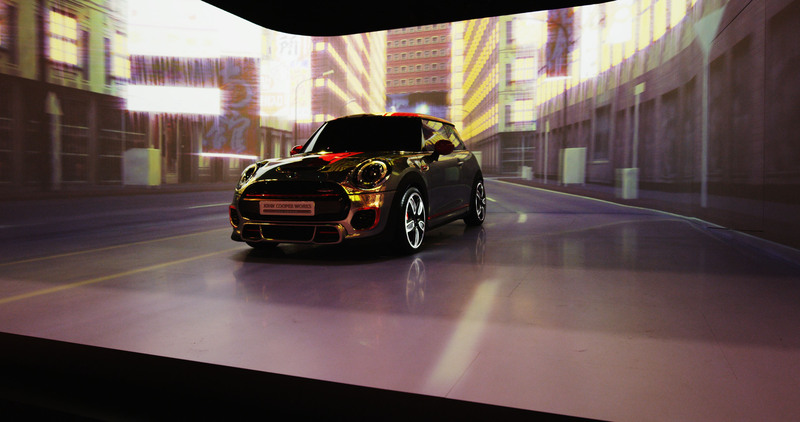 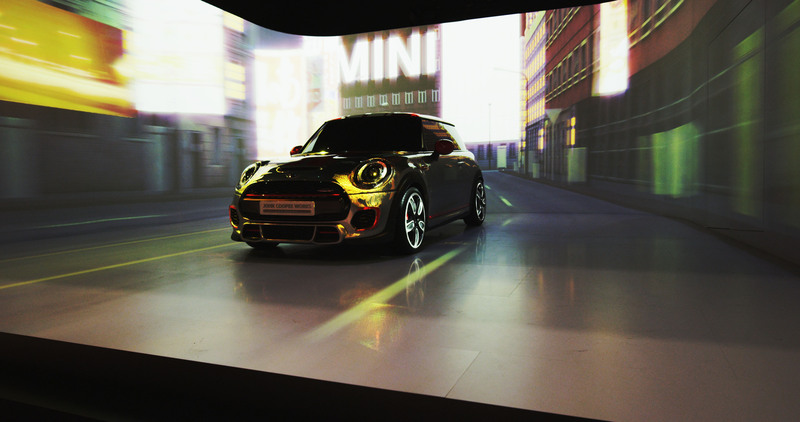 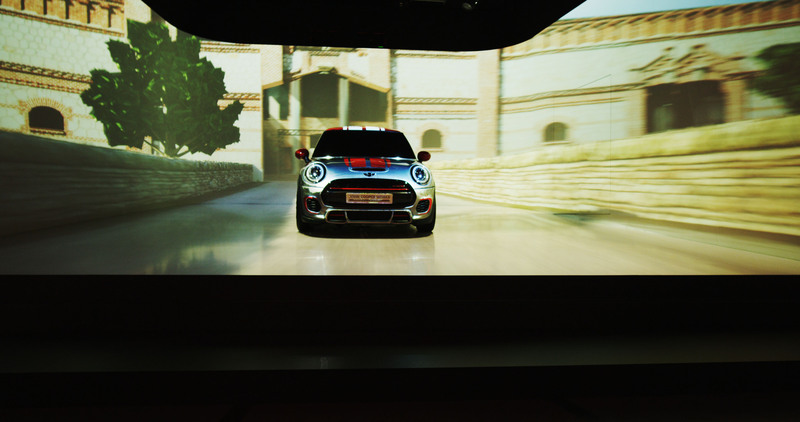 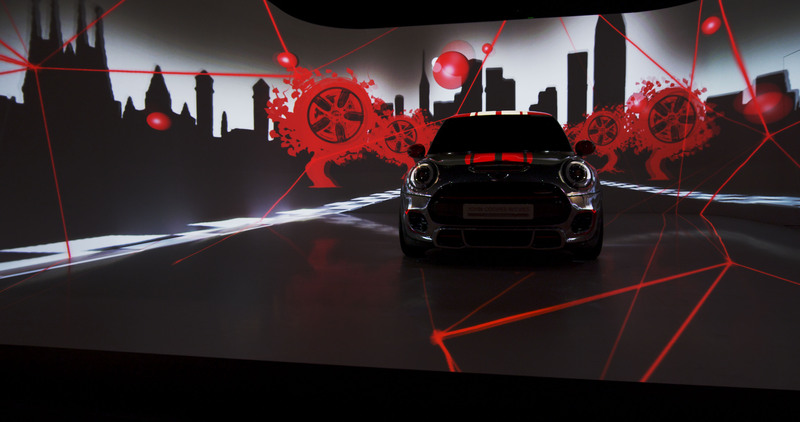 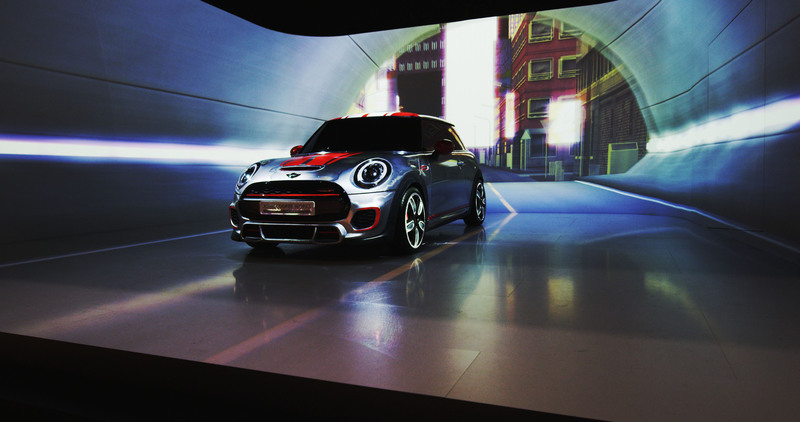 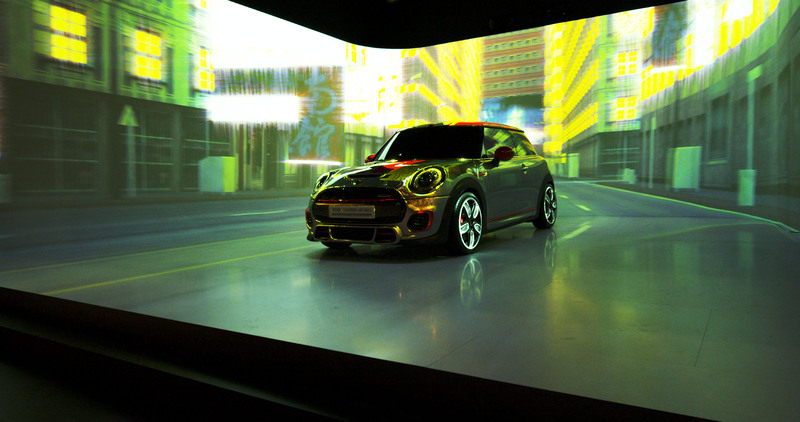 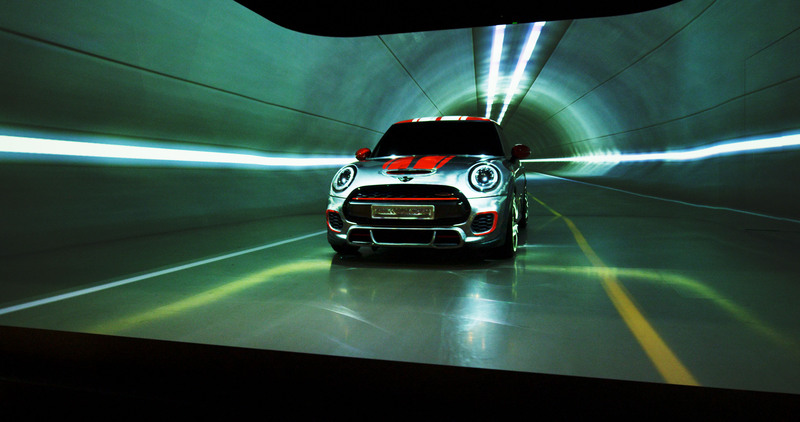 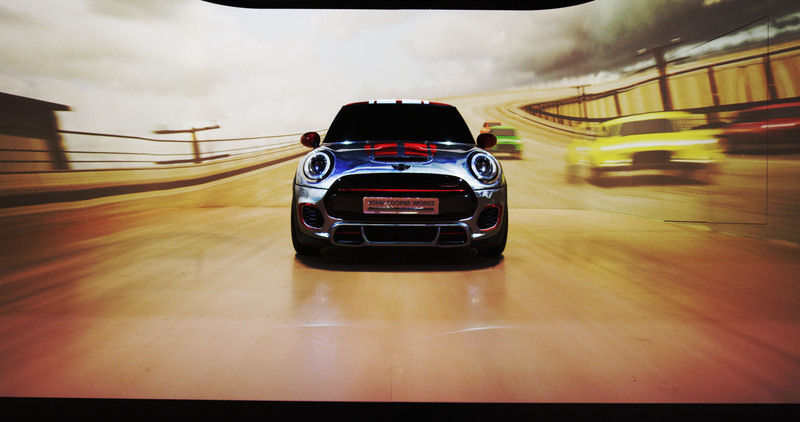 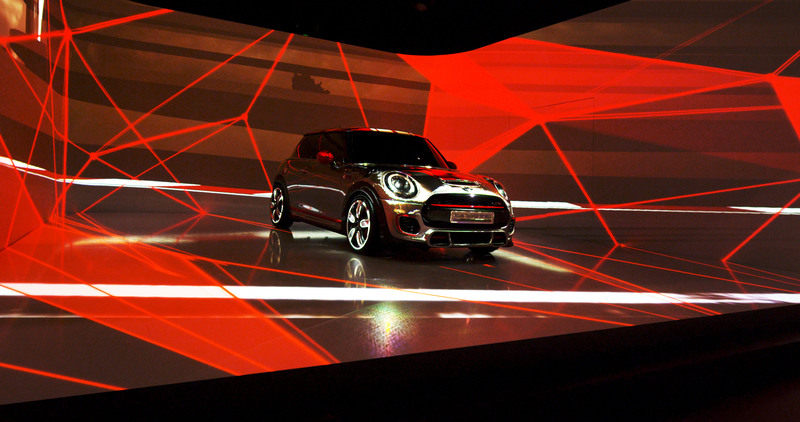 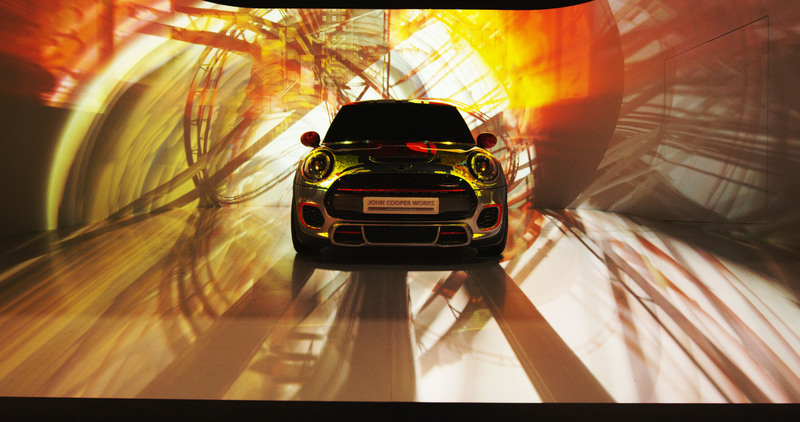 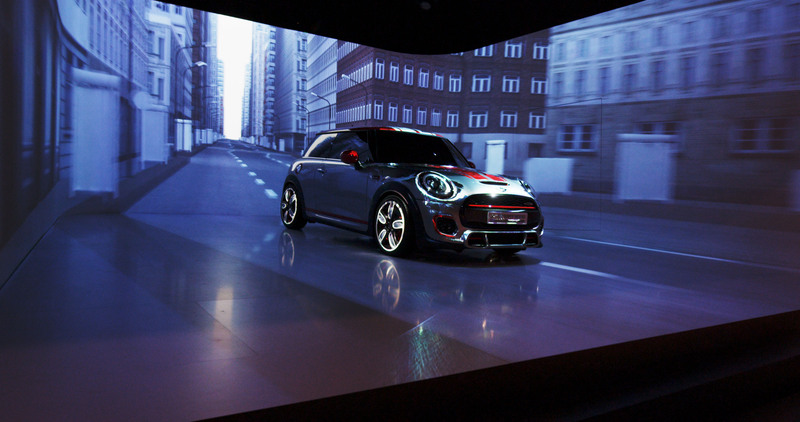 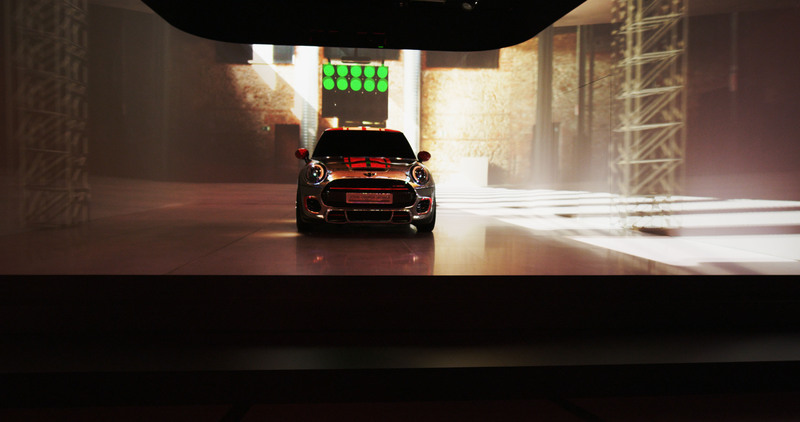 During the International Mini Dealer Experience 2014 in Madrid, Spain, for the preview of the new John Cooper Works Mini model, Visual Drugstore created an immersive 3D video installation. 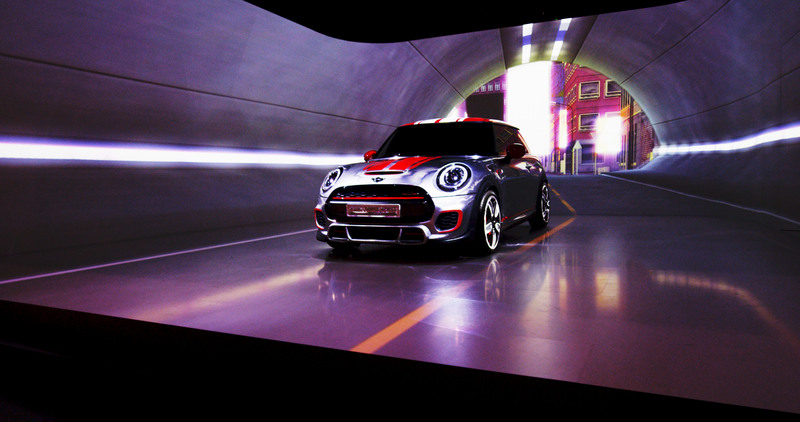 A complex video mapping show with multiple scenes on walls projected a variety of shapes and visual scenarios as if the car was driving through tunnels, remote streets and in and around magnificent cities as New York and Tokyo. 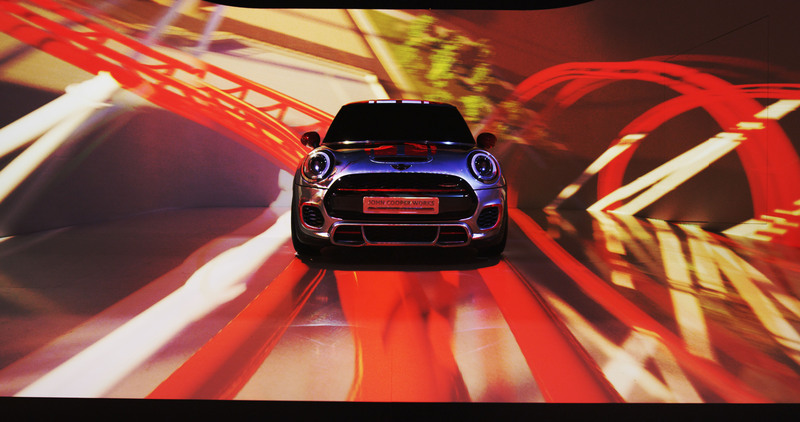 The 3D background and colours took the audience on a trip through different landscapes.